Some of the best and most beautiful beaches in the entire world are to be found in the Algarve. Hardly surprising then that the region is a favourite for sun-seekers from all over. They come in search of the natural heritage that is now managed in a sustainable fashion, in order to provide quality recreational facilities able to meet all kinds of requirements. There are beaches to suit every taste with the majority having gained due recognition in the form of the EU “Blue Flag” for quality standards. Along its 200-kilometre coastline, the Algarve features all types of coves, cliffs and caves, its rocky beaches contrasting with broad expanses of sand. Different types of beach, but all bathed in the calm, warm seawaters of this coastline. 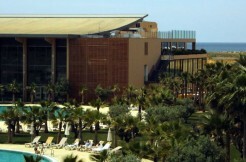 Equally attractive is the Algarve’s mild climate all year round. From Odeceixe all the way to Vila Real de Santo António, the entire coast enjoys a Mediterranean-style microclimate with temperatures that vary from 15º C in winter through to 30º C in summer. The beaches of the Algarve thus represent the ideal choice for some truly invigorating holidays! The Algarve is perfect for the summer holidays. In addition to having the greatest number of beaches in Portugal, it is where the sun shines for some 3000 hours a year. It is also an area where you can find beaches to suit everyone. There are beaches with a lively atmosphere for the multitudes, teeming with activities, but there are also very quiet beaches where you can enjoy kilometres of almost deserted sands; beaches for those who prefer the pleasures of nudism; and private beaches that are closed off to traffic. Beaches designated Accessible Beaches are specially equipped for disabled holidaymakers. They provide amenities including reserved disabled parking, specially fitted disabled toilets, wheelchair ramps for access to the beach and even assistance for access to the sea, with amphibious wheelchairs and crutches. 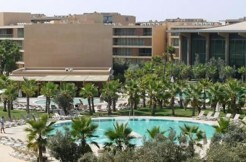 Different areas for specific groups are all provided for by the immensity of the Algarvian coast. Marinas and other leisure resorts flying the Blue Flag demonstrate their adherence to the standards of environmental management, safety and amenities, and environmental education and information. The award is given annually after rigorous evaluation of nautical facilities that pay special attention to good management of facilities and services with respect to the environment and nature. Four of the 12 Portuguese marinas to have received the Blue Flag are in the Algarve. These are Lagos, Portimão, Albufeira, and Vilamoura. This number could rise when other candidates fulfil the above standards. Vilamoura Marina is also the proud recipient of certification, awarded by the Societé Générale de Surveillances SGS, the largest international organisation governing environmental management. [The SGS, based in Geneva, conducts tests on health and safety, services, certification and verification and quality assurance on products, systems, global standards and facilities.] The ISO14001 standard acknowledges procedures for improving the environment and reducing the negative impact of human activity on the environment. In essence, it is to support management of consumption and waste by using more environmentally friendly technology, and reducing and preventing pollution. Well-located, managed with the environment in mind and achieving high standards in quality, the marinas of the Algarve are harbours where both sailors and holidaymakers feel welcome.